The days are getting longer and the weather is getting warmer. Almost time to pull out the many fabulous looking sandals that have been waiting to make their yearly debut. You take an off day to do your spring cleaning and exchange your winter clothes for the summer. Next stop, the nail salon for that much-needed pedicure. But before you do that, I think there is a little known fact about the neighborhood nail salon you should know before you go and get that “walk-in” service. Now…we all know that there is a direct danger of contracting a nail fungus from tools that have not been properly sanitized, and most of us are very aware of making sure our manicurist uses clean files, clippers, and other tools. But most people are not aware of the problems that comes along with soaking your feet in that fabulous jet tub along with the relaxing massage chair. When I have spoken to people about this widely unknown problem most will say, “Oh my nail salon is very clean, they spray and sanitize the tub before every service,” or “My nail salon uses a plastic lining in the foot tub that is changed with every service.” You can’t get cleaner than that, right? Not quite. You see, all that spraying, wiping, and changing plastic lining is only surface sanitation and actually has very little to do with the spread of bacteria that causes fungus, and other problems. I know this first hand because some years ago I contracted a nail fungus that I have been battling for years because I didn’t want to take oral meds that required me to have my liver and kidneys checked every three months for a year. I loved going to get a pedicure and always enjoyed looking down at my feet and seeing how pretty they looked in my sandals. So when I got the nail fungus I was baffled. How did this happen? I am a trained cosmetologist…heck, I’m a trained cosmetology instructor. I’m not only qualified to test hairstylist but manicurist and estheticians as well. I know all the sanitation protocol. When I went back to the nail salon and showed my manicurist the fungus on my toenail, she had enough nerve to tell me that my nail had turned that color because my iron was low. So I gave her a warning and told her I wanted to see all licenses properly displayed when I returned, which I never did. Still, I wanted to find out how I got this fungus? I watch the manicurist like a hawk making sure everything is done by the book. I would never allow someone to give me a manicure or pedicure that does not follow proper procedure. So I dusted off my cosmetology student and instructor books and poured through the infection control chapters. I studied bacteria and searched the internet about fungus. As I refreshed my self on the characteristics of bacteria and how they do their thing, it hit me. The tub and tools are not the problems, IT’S THE TUBES AND JETS! Ok…let me explain. Let’s go over the steps when we get a pedicure. When you first enter the nail salon and ask for a pedicure, they take you over to a waiting massage chair with a foot tub attached. The manicurist quickly sprays and wipes the tub or puts down a fresh new plastic lining. Next, she turns on the water and sprinkles some crystals into the tub that turns a darker color, (mostly blue) and the water starts to produce bubbles. She immediately turns on the jets and directs you to put your feet in it and relax for a while. Now…I don’t know if you’ve ever experienced this before, but if you own a jacuzzi bathtub you know how hard it is to clean which is why most people rarely turn on the jets. Once you put bubble bath in your jacuzzi tub and turn on the jets when you drain it the water goes out and dirt and bacteria get trapped in the jet opening and tubes. When you clean the tub, you can only clean the surface, so that’s what you do. Then you go to use it again, fill the tub and turn on the jets, all this crap comes flying out into the water and you realize that the jets and tubes still have dirt in it…so you take a shower. The same thing happens at the nail salon with the “jacuzzi” foot tubs. Only you can’t see the crap coming out from the dirty tubes and jets because she has put a pretty indigo blue substance in it that doesn’t allow you to see the particles flying out. And these particles carry that little fungus character you see on the commercial that gets under your toenail and makes a home, furniture and all. Even if the massage chair/foot tub apparatus has one tube to bring the water in and another tube to drain the water out, the jets are still a problem. Getting a pedicure in today’s nail salon is like playing Russian roulette. The best course of action is to not play the game. How can you avoid the nail fungus danger and still get pampered with a relaxing pedicure? Ask the manicurist to soak your feet in an old fashioned basin. She can still make the water warm and put bubbles in it too. This way you’ll be sure to have a sanitized foot bowl with minimal chance of contamination. I’ll let you in on a little secret too… Most high-end salons don’t use the pedicure chairs with jet tubs because of that very reason. They take pride in giving the best service possible and passing along fungus and flesh-eating bacteria are not part of the service menu. You can protect yourself by just asking for a few adjustments and still have your “Pamper Me” day be enjoyable. I hope this info is helpful to you and I wish you a great nail fungus free summer. I know I’ve been there, what about you? Dealing with dry, breaking, thinning, lifeless hair. Having that graveyard of a drawer or cabinet full of hair products that doesn’t do what’s promised. You’ve tried everything from shampoos to leave-in tonics and nothing seems to work. Your hair feels like straw, your scalp like dry cracked desert ground, and everywhere you go there’s evidence of your shedding hair for people to remember you by. You refuse to lose hope, so you drive to the nearest beauty supply, Target, or CVS in hopes of this time finding that magic product that will solve all your problems. You talk to the “specialist” on staff and she suggests that this newest product, just arrived on the market, is the answer you’ve been looking for. Yes, good nutrition is always beneficial as well as drinking lots of water and getting in moderate exercise. But if your scalp has not been cared for properly, the new hair that surfaces will struggle to survive in a not so friendly environment. Let me give you an example: Let’s pretend your hair is grass, and your scalp is an empty lot. Now, let’s put two lots side by side cared for by two different landscapers. The first landscaper clears the lot of all debris, tills the ground to soften it up, fertilizes and treats it with weed killer to prepare it for planting grass seed. The second landscaper just picks up big pieces of debris, throws down grass seed, and waters it. What do you think the outcome of each lot will be? Well I’ll tell you…the first lot will be very empty and clean and in a short period of time healthy green grass will grow. The second lot will have some growth of grass, but it will struggle to be strong and healthy. Why…because the ground wasn’t prepared for the grass to thrive. Also, keep in mind that the first lot will have to periodically be cleaned and fertilized to keep the grass vibrant and blooming. That’s exactly how the scalp is linked together with hair. If you do not “clear debris, till, and treat it,” periodically, it will not have the best environment to live in and be healthy. Topical Products and Elixirs Won’t Do the Trick. The Preparation Needs To Go Deeper. With the use of hair products, chemicals, and the natural scaling of skin, a build-up will happen that shampooing alone cannot remove. 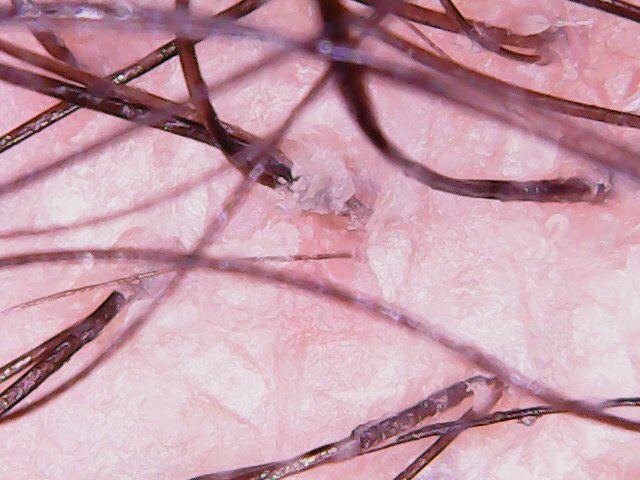 A microscopic layer that’s enough to block follicle openings on the scalp will cause new hair to struggle to break through the surface of the scalp. When the new hair does make it to the light of day it has been put under so much stress that it is weakened, causing hair to be dry, brittle and lifeless. So what’s the answer? 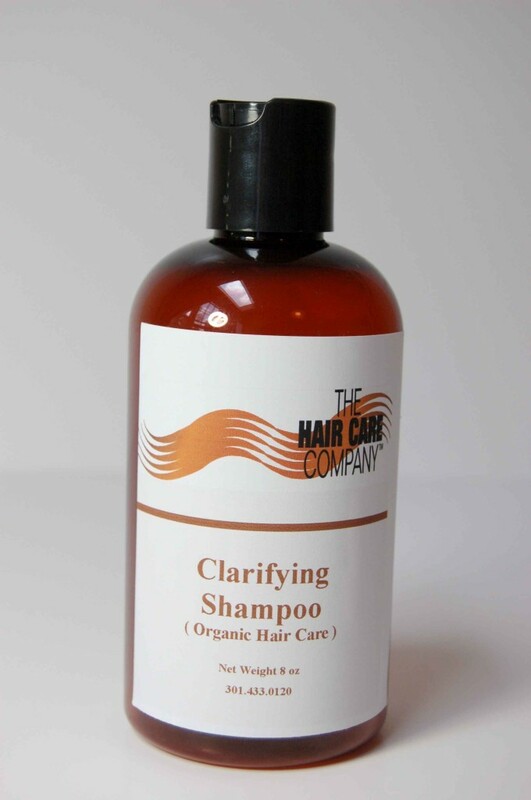 How do you “till” your scalp so your hair lives in a healthy environment? A deep cleaning and treatment. The same concept of how the landscaper of the first lot did it. 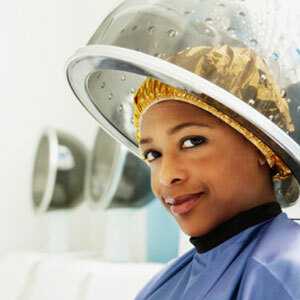 This type of “deep cleaning and treatment can only be done by exfoliating your scalp. It’s so much more than just removing product build-up and flakes on the scalp. You also need to kill any unhealthy bacteria that can cause scalp inflammation that often times shows up as scales and is mistaken for dry scalp or dandruff. This is where The Hair Care Company® Scalp Exfoliating System comes to the rescue. This system contains sulfate free shampoo, conditioner, and two cutting edge products that are powerful all on their own. Just take a look at the system in action. So let me just run down each product separately and let you know what they can do. A perfect sulfate free hair cleanser with 7 different base oils, pro-vitamin B-5 and keratin to gently cleanse and strengthen the cuticle of the hair. 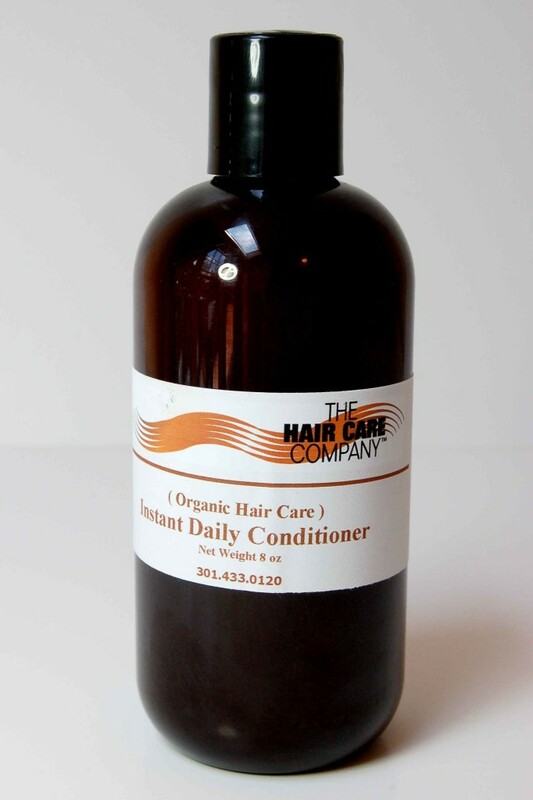 A creamy conditioner with natural aloe vera to promote healing to damaged and dry hair. It’s a natural sunscreen that also soothes and moisturizes. This product is one of what I like to call the “Wonder Twins.” Enriched with Dead Sea Mud, chamomile, and other essential oils, this baby can hold its own with many hair products that are sold as prescription only. The chamomile soothes inflamed and irritated scalp, the Dead Sea Mud kills most harmful bacteria, heals chemically damaged scalp, improves blood circulation, eliminates toxins, and controls itchy scalp problems. This stuff is the best thing since sliced bread. I periodically have an inflamed and irritated scalp due to eczema from side effects of medications, and this does wonders when I apply it to my scalp and sit under a hair steamer for about 20 minutes. (If you don’t have a steamer, wrapping the hair in a hot towel is just as effective as shown in the video.) 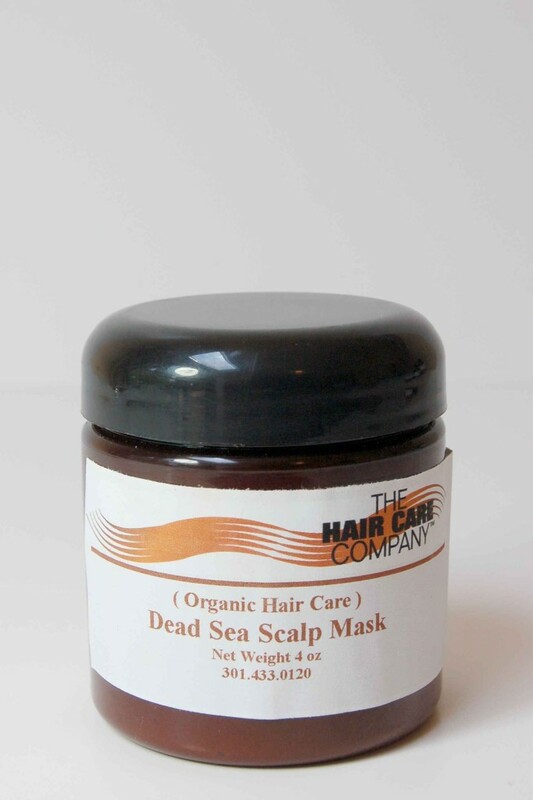 It helps to keep my scalp calm and controls the flaky scales. It’s a miracle in a jar. The second half of the “Wonder Twins” duo. This is exactly as it sounds. 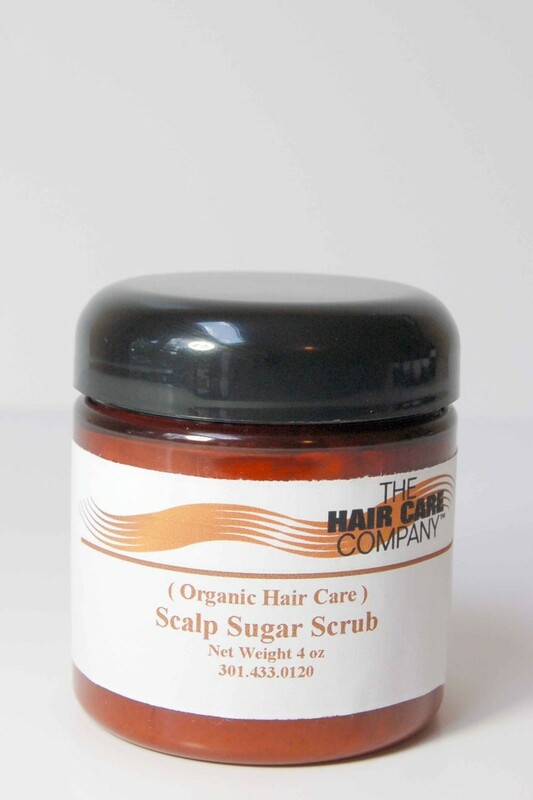 It’s an exfoliating sugar scrub designed specifically for the scalp that doesn’t cause damage to the hair. This shea butter based cream gently exfoliates peeling away product build-up, dead skin cells, and scaly flakes while providing the scalp with much-needed moisture. I don’t exfoliate the scalp every shampoo, (that can be a lot of work on a weekly basis), but I do treat my most stubborn eczema spots to keep my scalp under control. I do however recommend exfoliating the entire scalp at least 4 times a year to maintain scalp health. There is massive savings if you purchase all 4 products as a system. You can use the products in the system separately as needed or as an entire treatment as demonstrated in the video above. For many, the results have been miraculous. And as always there’s free shipping on all orders $30.00 and above in the U.S.
Well, …that’s about it. 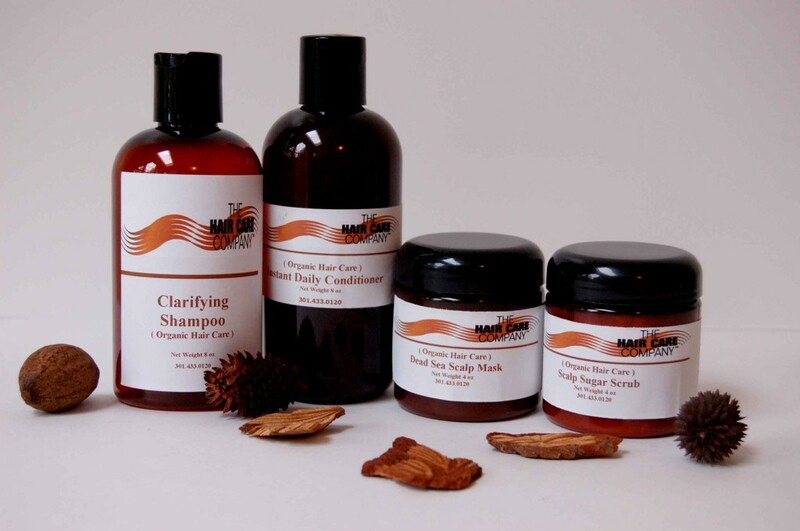 4 times a year is all you need if your scalp is relatively normal, and if you’re truly suffering from scalp problems this system is all natural. That means you can use it as much as needed until the problem is under control and then move to quarterly treatments. This has been a life saver for many of my clients and myself as well. Do yourself a favor and give scalp exfoliation a try. You have nothing to lose, and a gorgeous head of hair to gain. When you’ve been in business for as long as I have, you tend to stick to your industry’s standard. For many, that is usually some unwritten rule that most professionals in your field will abide by. Normally, I am never a habitual “rule breaker,” but I also don’t like to be put in a box I will usually dance to the beat of my own drum. Recently, I found myself in a position where the “industry standard” is not necessarily fair to those that support me and I had to make a decision when faced with a simple reaction from a long time client. Just take a look at the video below and listen to my story as I explain more.